It’s officially 2014. 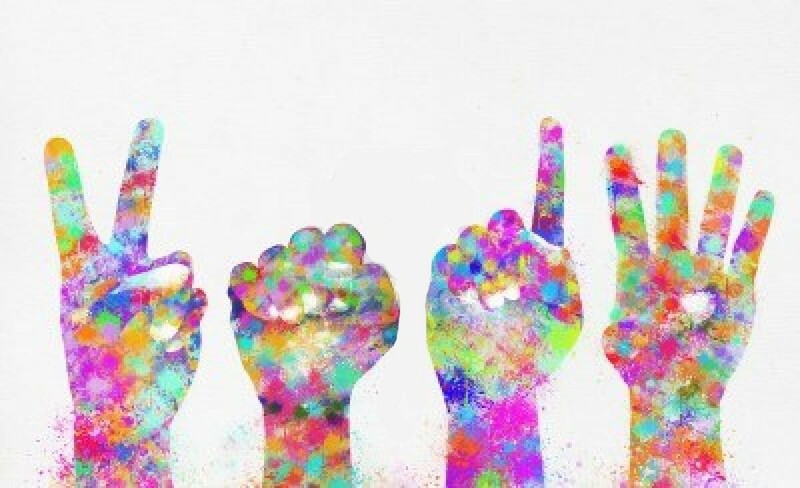 Resolutions have been made, goals have been set, and today is the day they all begin. Tomorrow is today. To be quite honest though, I’ve never been big on New Year’s Resolutions, as I find that if I really wanted to change something, I shouldn’t have to wait for a Monday, or the first of the month, or a new year. While day turns into night and back into day, I believe that time is man made idea, so your new year could start whenever you feel like it… Anyways, whether it’s a new year, a new day, or a new hour, I hope that everyone who has made resolutions, or has accepted a challenge of sorts, begins on a high note today and sticks to their word. Pick a goal (5K, 10K, Half, Full, Combination, Trails) and sign up. 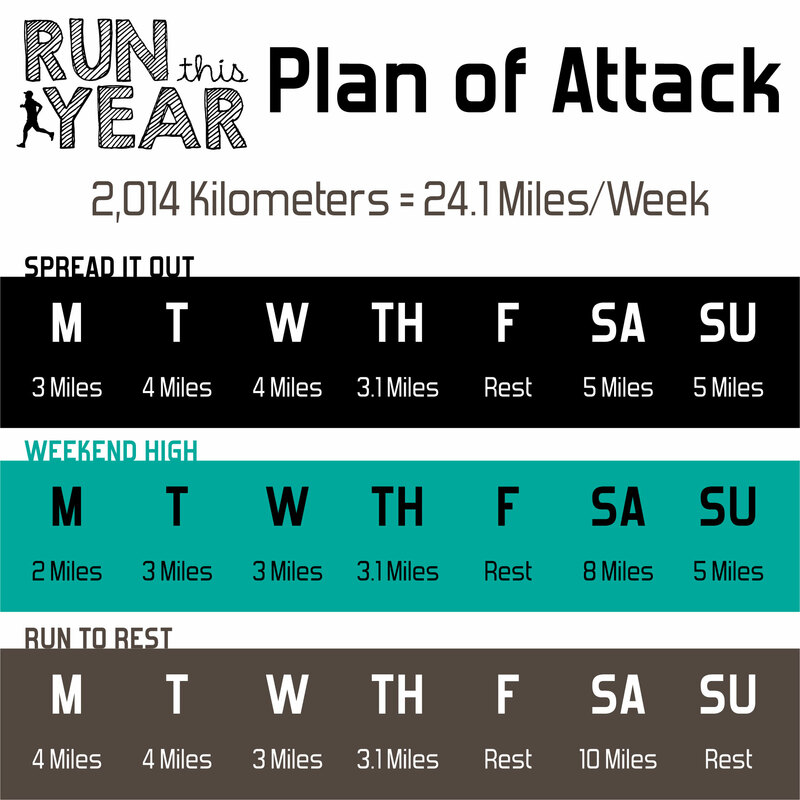 Run 14 registered virtual or real life races in 2014. We will have a 14 in 2014 Facebook group to support and encourage each other and share the experience. To support everyone reaching their goal Jen and I will host 4 virtual races throughout the year. Share with Instagram and Twitter using the #14in2014 hashtag. 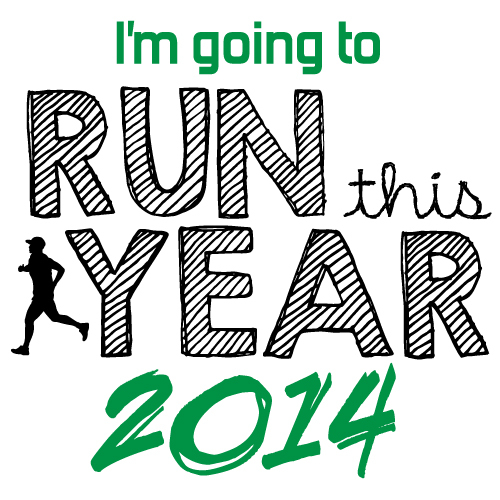 JOIN THE 14 in 2014 Challenge and race 14+ races with me! So far the community that has been established has been so supportive, and we hadn’t even started racing yet. Run This Year (2014) is a free running community that challenges and inspires you to run as many miles as you can in one year! Run This Year is for anyone who strives to run all year and maybe even run the year in miles or kilometers! Go register to Run This Year! You can pledge to run 2014 miles, 2014 kilometers, or challenge yourself to whatever number of miles you want to run in 2014. 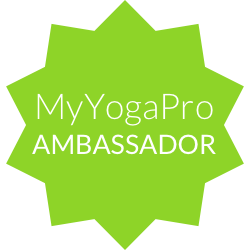 This challenge allows you to log your miles daily, weekly, monthly, and will keep track of them for you. There are also lots of prizes to be won here too! So now that you know what I am challenging myself to, I have no excuse but to get outside and start running. As for my races? Here’s what’s on my agenda for the year. Sometime in April – I need to find a 5k to do in April, Trae promised he’d run a race with me for my birthday! There is lots of running to be had in 2014!! I am definitely excited and can’t wait to tell you all about my race this weekend. 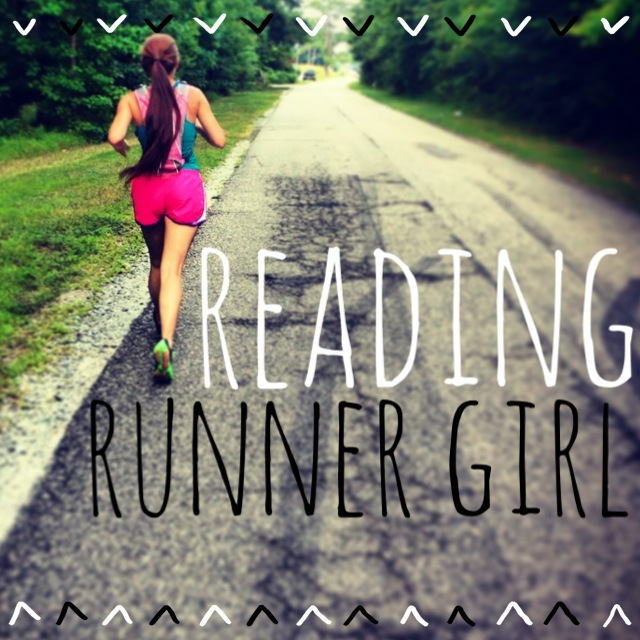 Tell me about your running, racing, and 2014 challenges!!! This entry was posted in Running, Uncategorized and tagged Challenges, distance running, fitness, Goals, half marathon, halfmarathon, health, healthy, marathon, marathon training, New Year's resolution, New Year's Resolutions, Outer Banks, Physical exercise, reading runner girl, richmond marathon, run, RunHappy, runner, running blog, running blogger, running in virginia, sweatpink, virtual races. Bookmark the permalink. Love the energy of this post! I’m looking forward to following your running journey! Thanks for the Shout out! I love how excited you are about running!